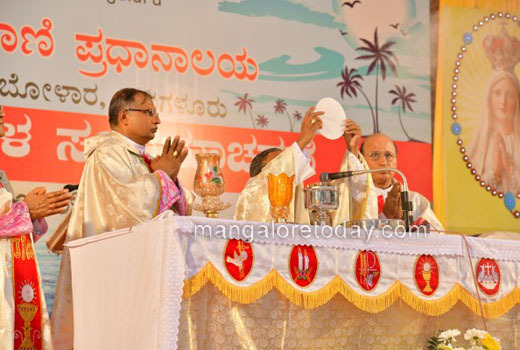 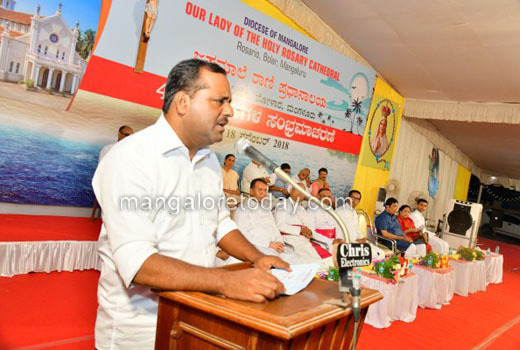 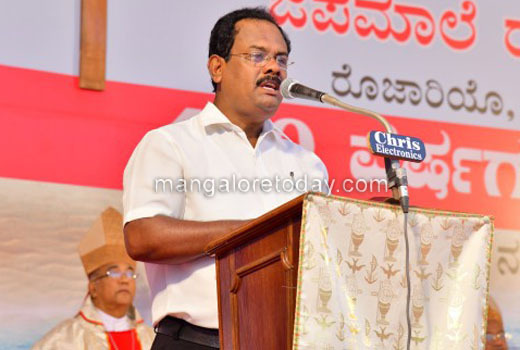 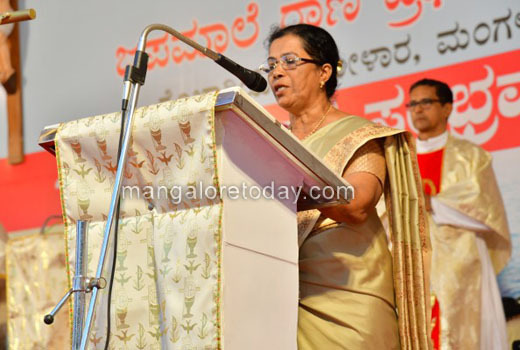 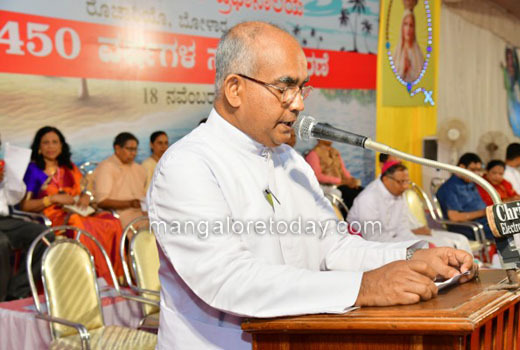 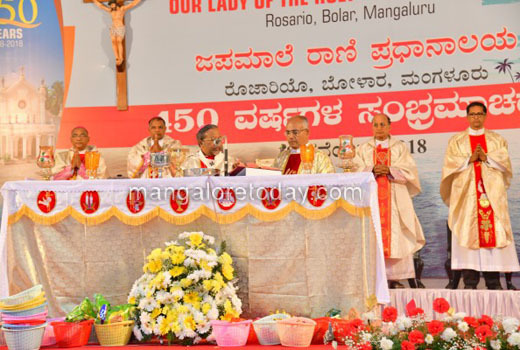 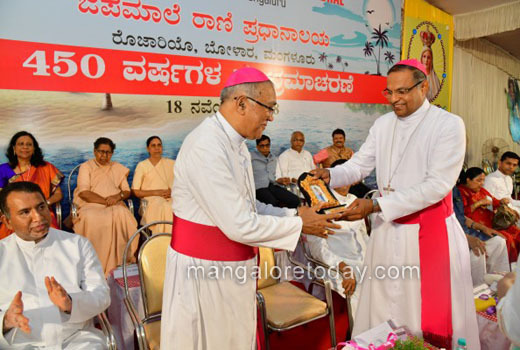 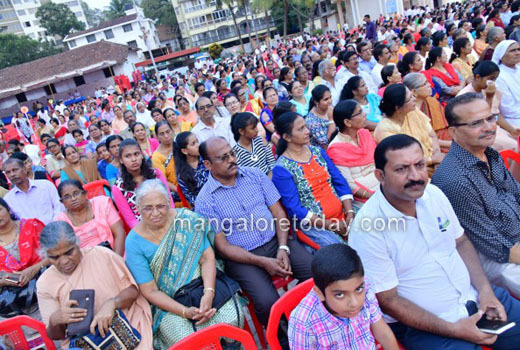 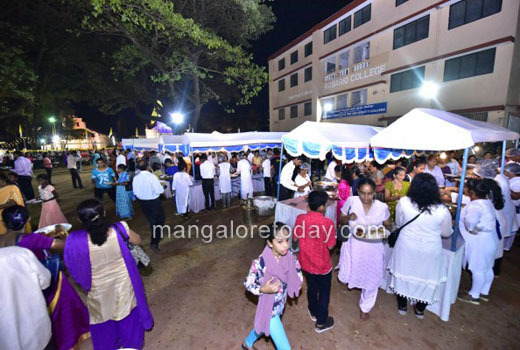 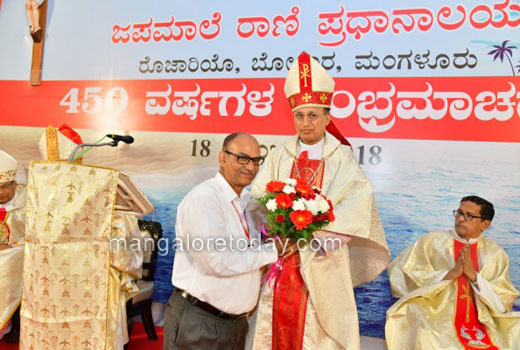 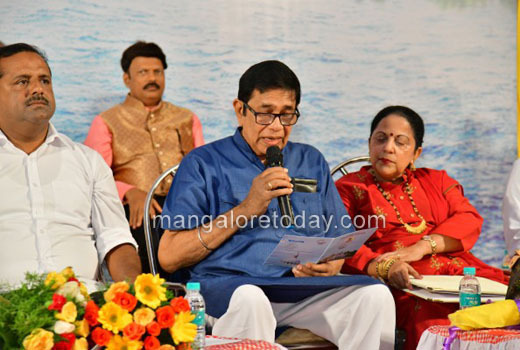 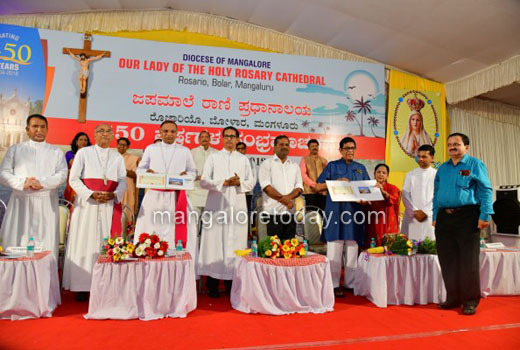 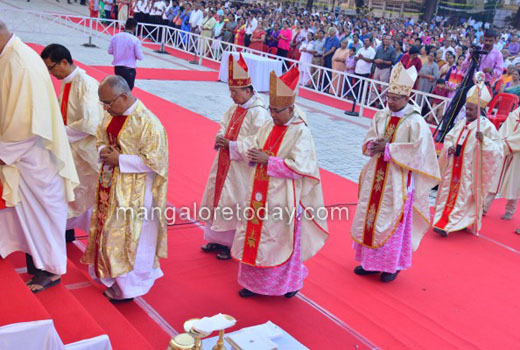 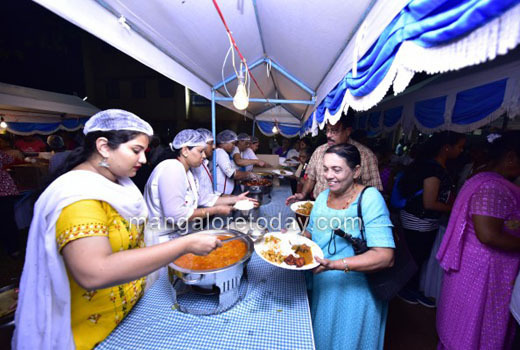 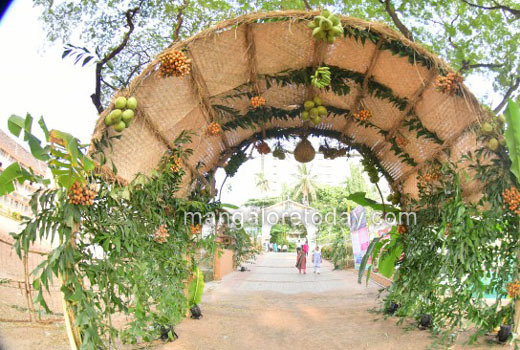 Mangaluru, Nov 19, 2018: The first catholic church in Tulunadu was established on a permanent footing on the banks of the Nathravathi river, bang opposite the estuary (Aluve Bagilu) near what is now known as Bolar ’Halaykote’ just on the river edge. 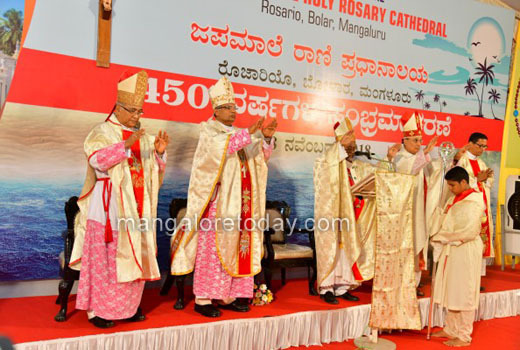 Present Rosario Cathedral is it’s successor, relocated at it’s present site after 1800s, on the prime land allotted by the British Govt in the course of resettling the Konkani Catholics after their 15 year captivity (1984-1799) by the then ruler Tipu Sultan. 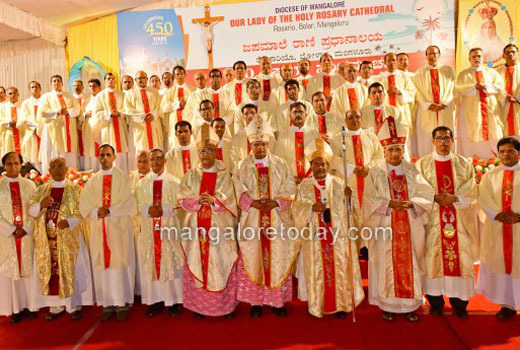 The entire greater Mangalore was a single parish area under this Rosario Church. 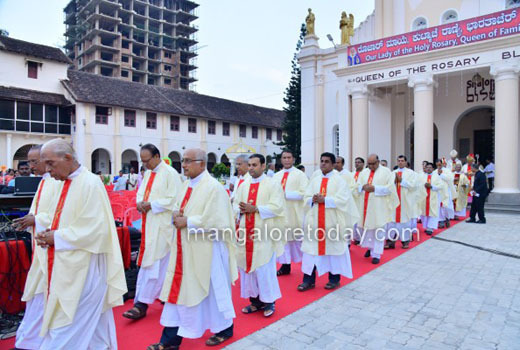 Later Milagres church now seen not far off, allowed the huge parish to be bifurcated and gradually other parishes churches and worship centers were born. 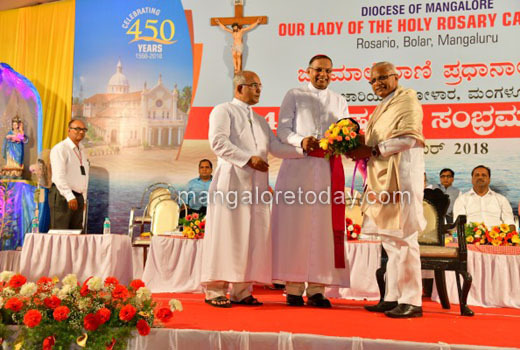 Rosario Church was declared a Cathedral in 1850 and the present land mark massive edifice of Rosario Cathedral was completed in 1915 when the Jesuits were in charge. 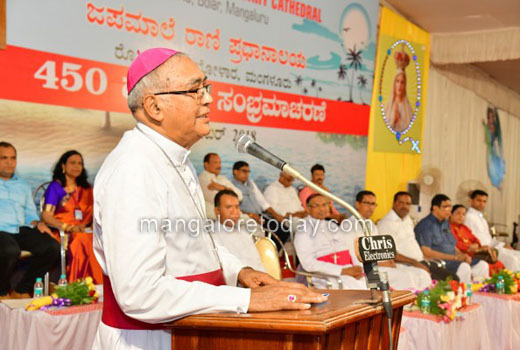 It came in to the administration of the Mangalore Diocese later in the 1900s and continues so. 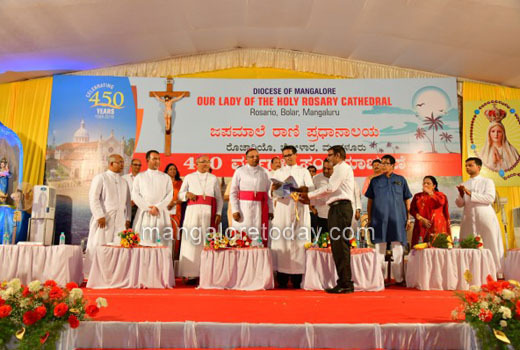 The celebration : The 450th Jubilee celebrations were inaugurated on Jan 7th 2018. 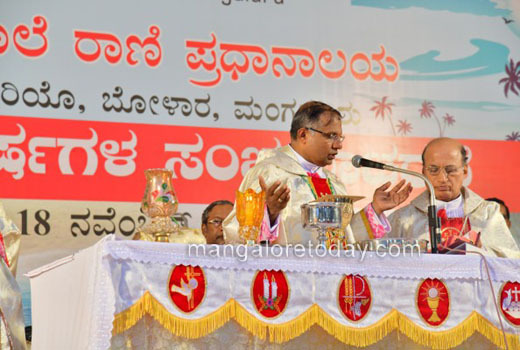 The culmination was held on November 18, Sunday. 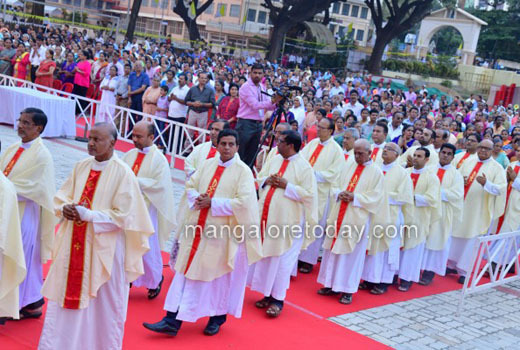 The holy Mass began at 6:30 pm in the evening at the Cathedral grounds with Rt Rev Dr. Peter Machado Archbishop of Bangalore, as the main celebrant. 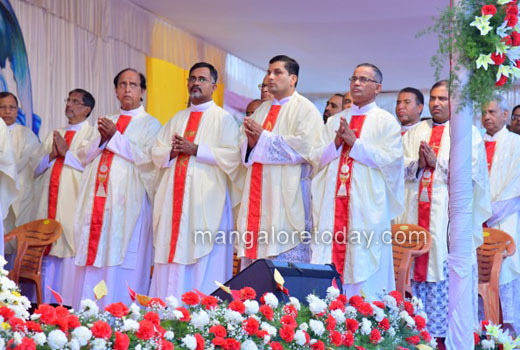 Priests near 150 concelebrated in the holy mass. 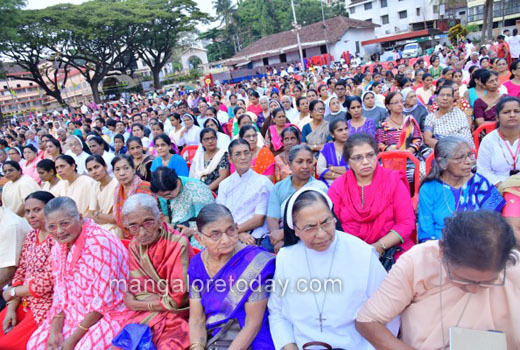 There were more than 2000 people present and over 400 nuns. 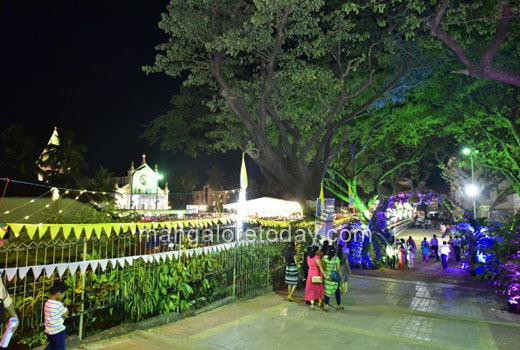 The whole area was tastefully decorated and it was for the first time observed that the whole compound was covered by interlocks. 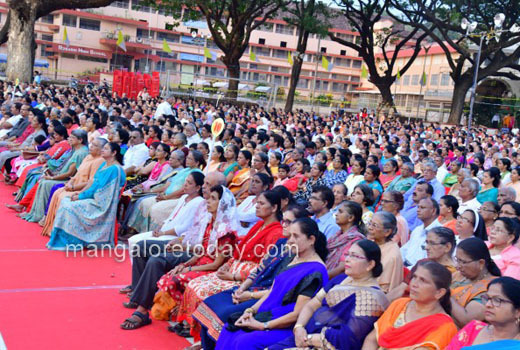 preceding this day was a three day preparation (15, 16, 17 Nov, 2018) at the same venue, of a three day retreat preached by eminent preachers, from which the people in large numbers derived many spiritual insights and support. 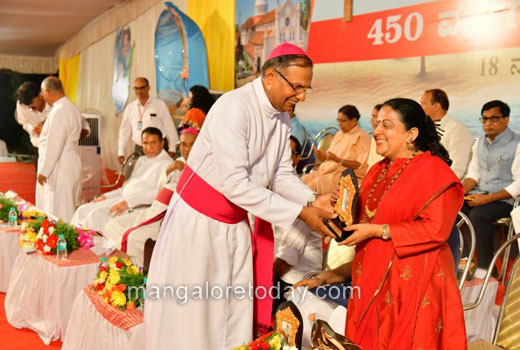 There after a cultural programme was presided over by the Bishop of Mangalore Rev Dr Peter Paul Saldanha. 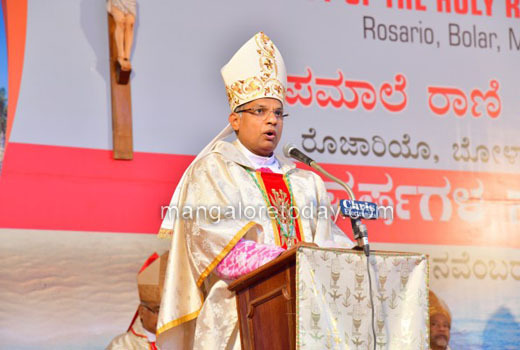 Many elite guests will be taking part in the ceremony including the Emeritus Bishop Rev Dr Aloysius Paul D’Souza, Bishop of Udupi, Rev Dr Isaac Lobo, Msgr Lawrence Maxim Noronha, Karnataka Provincial Rev Fr Stanislaus D’Souza SJ, Minister U T Khader, MP Nalin Kumar Kateel, Rajya Sabha member Oscar Fernandes and others. 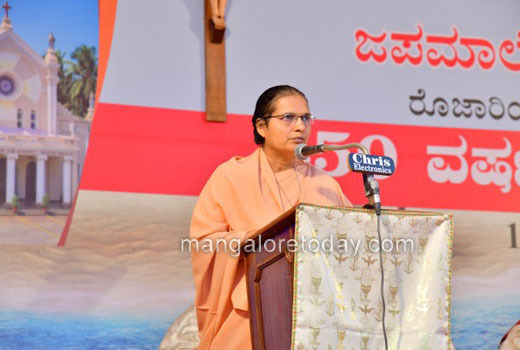 From the funds colected, special projects to help the poor in need of housing, the sick and marginalized, help of suffering in prisons, and other plans.